UCO and the City of Edmond Commemorate "Touch the Clouds"
May 22 on the University of Central Oklahoma’s campus, the official dedication of artist David McGary’s statue, “Touch the Clouds” occurred. 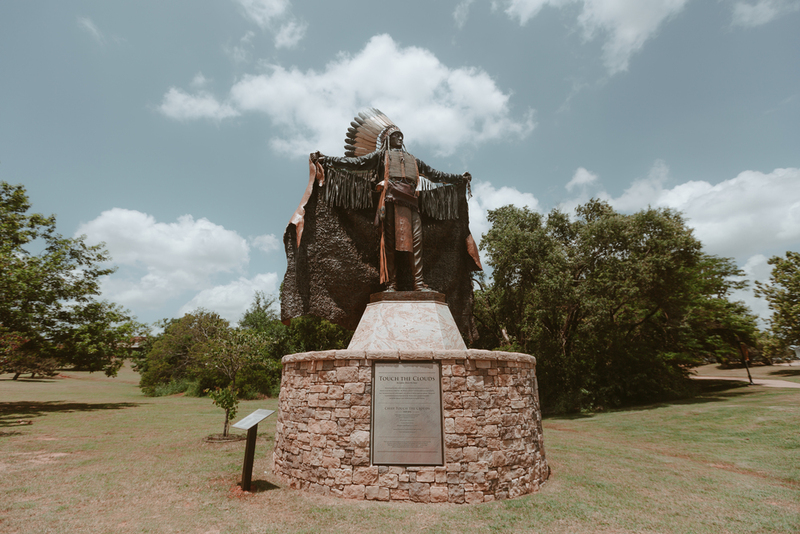 The dedication honored both the artist of the statue and the history behind the statue, while underscoring an appreciation for relevant public art. Present at the dedication were Mayor Charles Lamb, UCO President Dr. Don Betz, Former Mayor Randel Shadid and the family of the late David McGary. 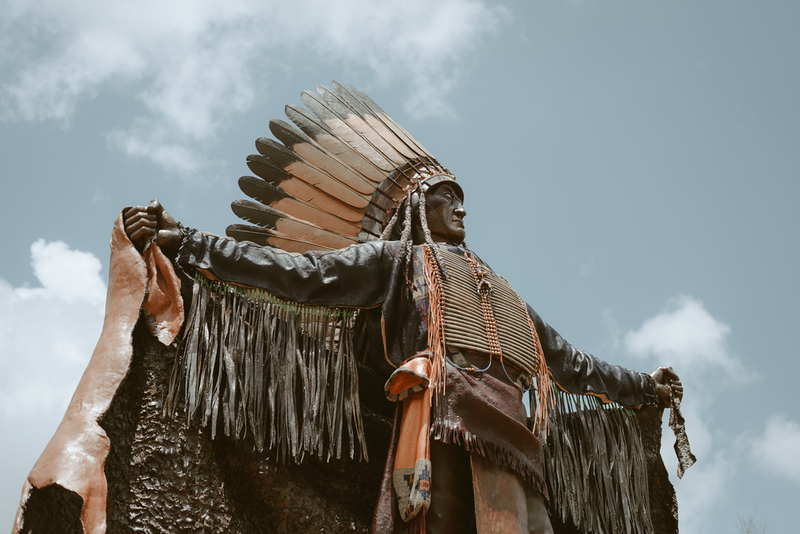 Touch the Clouds was a chief of the Minneconjou Teton Lakota, and was known for his ferocity in battle, ability to counsel others and bravery.